Some injuries are so severe that they will have life-long consequences for those who sustain them. In these cases, expenditures for medical treatment and everyday services are often overwhelming. Brain injuries and spinal cord injuries are among the most common and both can be a catastrophic hardship on victims and their families. 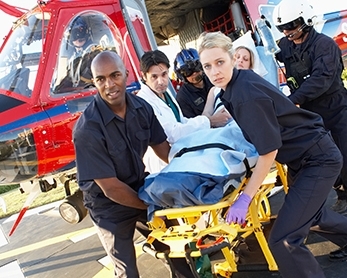 At LaCroix, Levy & Barnett, LLC we know that getting a successful result in these cases requires working with experts from various fields, such as neuro-psychologists, vocational counselors and rehabilitation specialists who have the understanding necessary to determine the extent of the injury and its effects. These injuries often require life care planners to identify the additional care and services the patient will need in the future; and economists who can determine the financial resources that will be required to pay for them over the course of the victim’s lifetime. At LLB we are dedicated to helping clients get the compensation they deserve. We want to help both victims and their families move forward with a meaningful life. Call us today for a free consultation and case evaluation at 318-443-7615 or SUBMIT A SHORT AND SIMPLE CASE FORM HERE!